Since writing this post, I’ve discovered that my homemade mix, while nutrient rich, may not be the best for starting seeds. It’s heavy and does not allow for good airflow…something little seeds need to get started. So what is an alternative? Vermiculite. It is a natural mineral, sort of a flaky rock at first but when heat is applied, it expands and becomes light and fluffy. So I’m going to use and recommend using Mel’s Mix to keep that seed starting soil light and better at retaining moisture. The time for starting seeds for this year’s garden is drawing near. Preparations are being made and I am determined to have better luck with tomatoes and peppers this year. To that end, I’ve decided to put my own “seed starting soil mix” together. 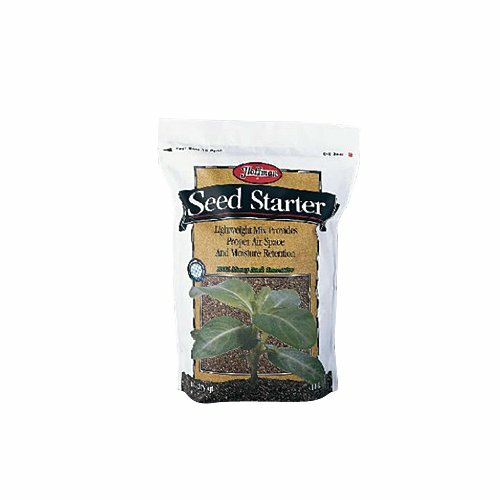 A good seed starter soil mix. I am going to use Hoffman Seed Starter Mix. Plants need nitrogen, potassium and phosphorus as well as calcium, magnesium and sulphur in varying levels depending on the plant. These nutrients can be lacking due mainly intensive overuse without replenishing the soil. This, I believe, is one of the reasons why Permaculture is rapidly gaining in popularity as an alternate means of producing food. Used coffee grounds are high in nitrogen containing around 10 lbs per cubic yard and act as a “slow release fertilizer” of nitrogen that the plants can use. If you already drink coffee, the fertilizer is a “soft cost” as it is already a part of your pantry. Bonus! If you don’t drink coffee, ask your local coffee shop if they would mind saving the used coffee grounds for you to use in your garden. I did this last year and the shop was only too happy to oblige. Add 1TB of coffee grounds per plant as a start, working the grounds into the soil around the plant, but keep an eye on each plant as each type has a different nitrogen requirement. Egg shells are another soft cost fertilizer. Egg shells are made up mostly of calcium. You can crush them or pulverize them in the food processor and add them to the soil. You really can’t overdo it but you can start with a couple of tablespoons per plant. You can also crush them and sprinkle them around the plants and garden beds to deter slugs. When they slither across the shells, the sharp edges cut them up. I don’t feel the least bit upset by this. Slugs are terrible for the garden…and they are gross. Blood and bone meal provide nitrogen and phosphorus, respectively. While I will not add these to my soil recipe, I will fertilize with them throughout the garden season by working them into the soil around each plant. This is a time-consuming process, but it is only monthly–bi-weekly at the most. Fish meal, kelp meal or compost high in fruits and veggies can provide the potassium. 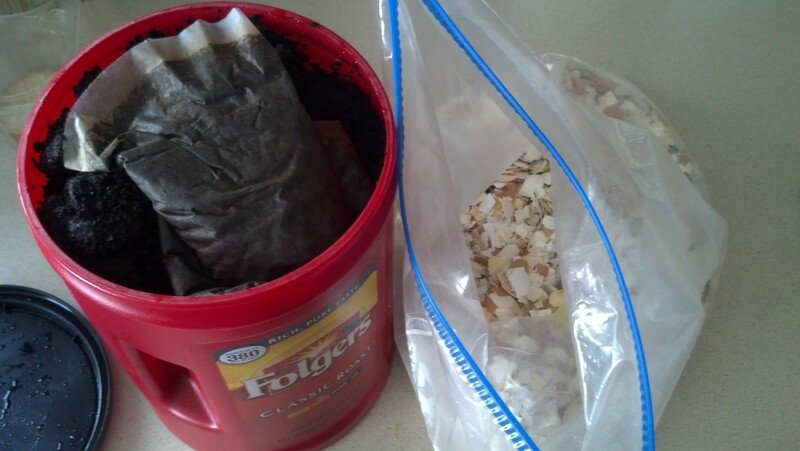 For seed starting purposes, I will be adding the eggshells and coffee grounds to my potting soil. Once the seeds have germinated and are well on their way to becoming full-grown plants with a future as food production rockstars (after about 4-6 weeks), I will start to add fish, blood and bone meals as needed. For a more in depth look at all of the nutrients plants may need from the soil, check out this site.